International Space Station (ISS) frequenter Chris Hadfield’s flight suit was recently purchased from the unlikeliest of places in Toronto. Amazingly, the suit has been authenticated by the very man who wore it. Upon examining the suit, which had strangely been marked down to a mere $40 from $80, she realized who the suit belonged to. The name was clearly stitched near the heart – Chris Hadfield. What’s oddly surprising is not the fact that the flight suit, that was once worn by Chris Hadfield ending up in a thrift store, but the question, why did it lay neglected for so long that it had to be marked down in an attempt to get it offloaded? 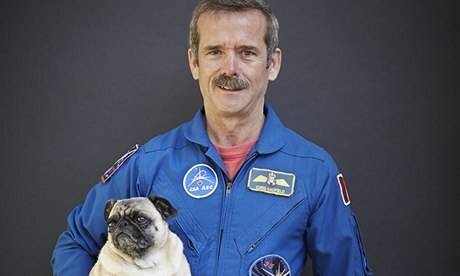 Chris Hadfield became a household name and an internet sensation during his stint aboard the ISS. He captured the public’s attention by regularly snapping pictures and recording interesting videos onboard the ISS. Chris offered a never-before-seen tour of the ISS and also performed informative experiments which were never possible without zero-gravity environment. With majority of Chris Hadfield’s videos going viral on the internet, including a zero-gravity performance of the David Bowie song Space Oddity, one would expect his flight suit to be a treasured item that no one would let go; at least, not without asking for a handsome reward. Though Chris retired from the Canadian Space Agency in 2013, any memorabilia that is associated with the space program or the ISS is always high in demand, and no one is sure, least of all Chris, how his flight suit ended up in a thrift store for the doctor to find. However, Chris has been kind enough to offer information that proves that the flight suit was worn by him at some point. Wong asked Chris over Facebook, and he, in turn, asked questions about the flight suit, explained the doctor. Needless to say, the flight suit had everything that established its authenticity. Hadfield said it was, indeed, his old suit. With ancient artifacts being procured from charity shops, and flight suits turning up at thrift stores, perhaps it’s time to look at other people’s discarded stuff a little more carefully.